The name Juniper is most notably a type of evergreen shrub in the cypress family whose berries are used to flavor gin. This name joins the ranks of other tree names such as Acacia, Hazel and Willow. However, it triples as a nature name, a place name and a saint name. Saint Juniper, or Brother Juniper, was called "the renowned jester of the Lord" and was one of the followers of St. Francis of Assisi. He died in 1258. This name is ultimately derived from the Latin word iuniperus or juniperus which is a combination of the word junio which means "young" and parere which means "to produce". These put together equal "youth producing" or evergreen. Beyond this, Juniper could also be a derivation of the Welsh name Guinevere. Click here for even more information about this possible connection. This name has become more than just a guilty pleasure as evidenced by the way it has skyrocketed up the charts in the past five years. Juniper first gained usage in the US in 1969 thanks to a hit song called "Jennifer Juniper" by Donovan. After that, it was occasionally used until 1985 when it took a hiatus until 1992. 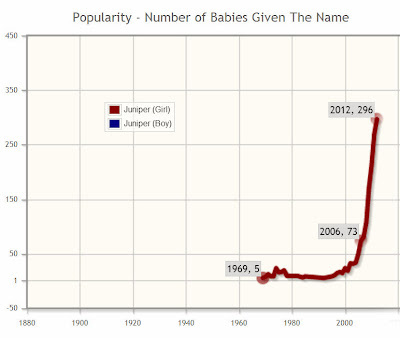 Between 2007 and 2008, this name got a boost in popularity. The name joined the Top 1000 for the first time in 2011 at #953. 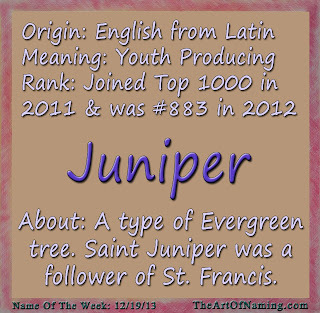 In 2012, there were 296 girls given the name Juniper which ranked it at an impressive #883. There were also 5 boys given the name in 2012 but this name is overwhelmingly female. 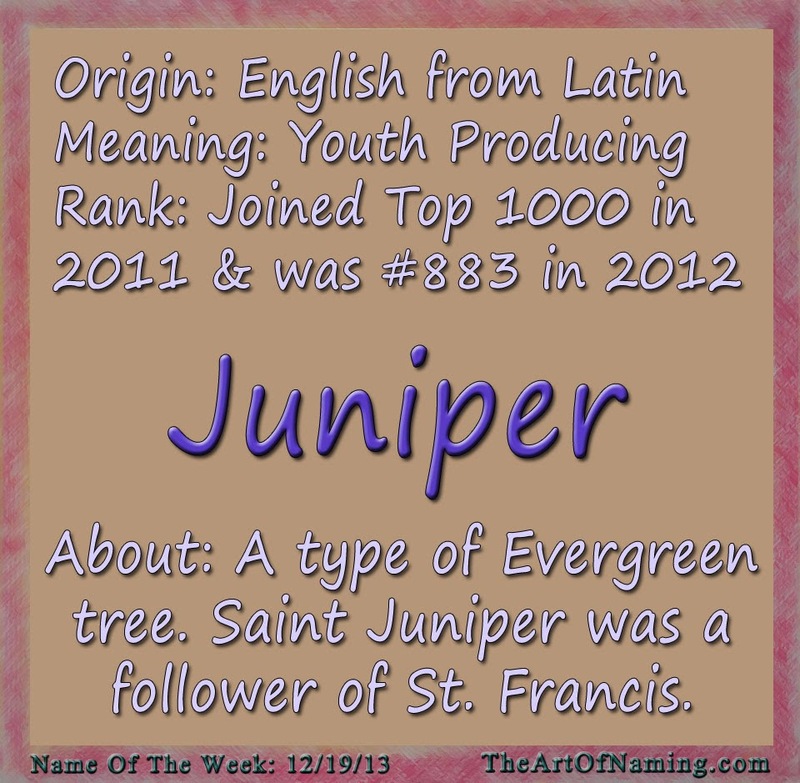 The name Juniper has a very earthy, hippy vibe behind it that can bring a smile to your face. With the adorable nicknames June, Junie or Juno, this name is a unique and spunky choice for a modern girl. What would you pair with Juniper? 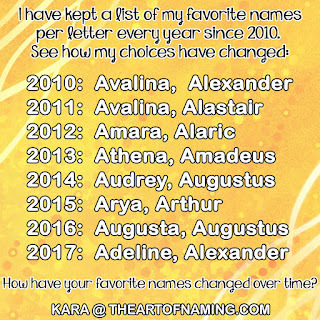 What do you think of this fast-rising name? I love your suggestions of Juniper Olivia and Molly Juniper!! So lovely!!! Juniper is such a cool, funky name that I think would be good for either a girl or a boy. I also like the Old French form - Geneva.